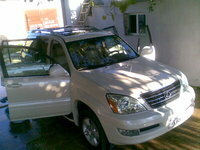 Start a new Lexus GX 470 question. Will regular gas work fine, in a 2007 Lexus GX 470. What is the normal mpg for this car not the EPA listing? Lexus introduced the GX 470 in 2003 as a third SUV option. The GX was a midsize sport utility based on Toyota's 4Runner. It fell between the lowest priced car-based RX series and the full size flagship, the LX 470. The GX 470 quickly earned a reputation as Lexus' most nimble and capable SUV. It was equipped with full time 4WD, forgiving adjustable suspension, a two-speed transfer case, and a hill descent feature. The 8.3 inches of ground clearance was sufficient for most adventures you'd being willing to embark on in a Lexus. The GX 470 utilized the same engine as the larger LX. A 4.7 liter V-8 initially gave the GX 235 horsepower and 320 pound-feet of torque. Horsepower was boosted to 270 in the third model year thanks to Variable Valve Timing technology. The upgrade lowered 0-60 time from 8.9 seconds to 8.1, and strengthened towing capacity by 1500 pounds. 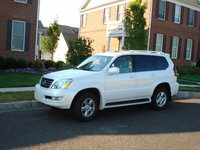 Despite weighing about 500 pounds less than the LX, the GX 470 did not gain much with respect to full economy. Gas mileage was observed at 15/18 (2003-04) and 15-19 (2005-06). The GX 470's interior was fitted with many the finer details and features found in the LX or the LS sedans. The standard feature list was impressive, including a moonroof, one-touch power controls, leather seats, heated front seats, walnut trim, and a premium Mark Levinson audio system. Options included a very thorough and functional navigation system, Bluetooth capability, a factory-installed DVD entertainment system, and voice activated controls.